You have the top down, the wind is blowing through your hair and you’re going nowhere in particular. Just enjoying the ride. While we haven’t come up with the convertible motorhome, we can promise you the same feeling of freedom on the road in the Bundaleer. 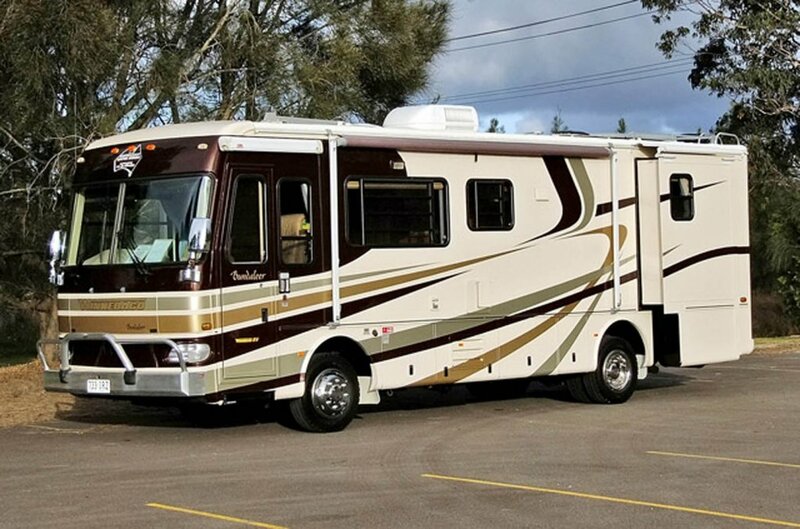 Two slide-out rooms make this motorhome one of the most spacious on the market. With just a turn of the key the slide out room slides out and increases the space in the living area and bedroom. Style and convenience come together beautifully throughout the motorhomes interior. Take, for example the beautiful cabinetry. You’ll choose from three attractive finishes, each with brass finished hardware and raised panel doors. Bundaleer – Aboriginal for “amongst the hills”. So why not do as the name suggests, go and explore Australia’s many undulating plains. The Avida Winnebago Bundaleer is no longer manufactured and isn’t able to be purchased as a brand new motorhome. You should see the Avida Longreach range which has similarities to the Bundaleer.